It was our wedding anniversary last weekend. We wanted to celebrate our anniversary weekend together with the whole family. We went away for a family weekend. 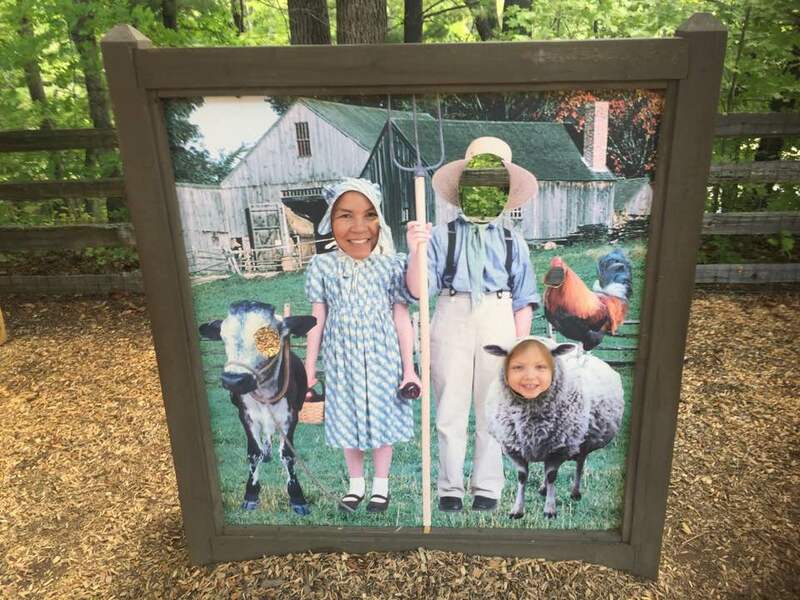 We took our daughter to Old Sturbridge Village in Massachusetts. It was a lovely look at life in the 1800’s. We got to take a horse-drawn carriage ride, see how yarn was made & pretend to churn butter. 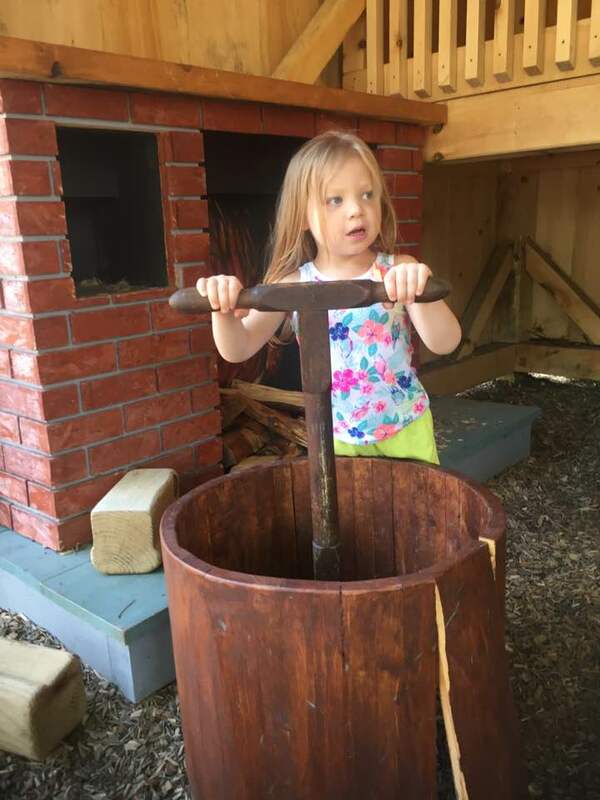 Our butter making play made me want to churn some butter for real. It reminded me of when I was little and churned butter on class field trips. I wanted to teach my daughter how to make butter too. 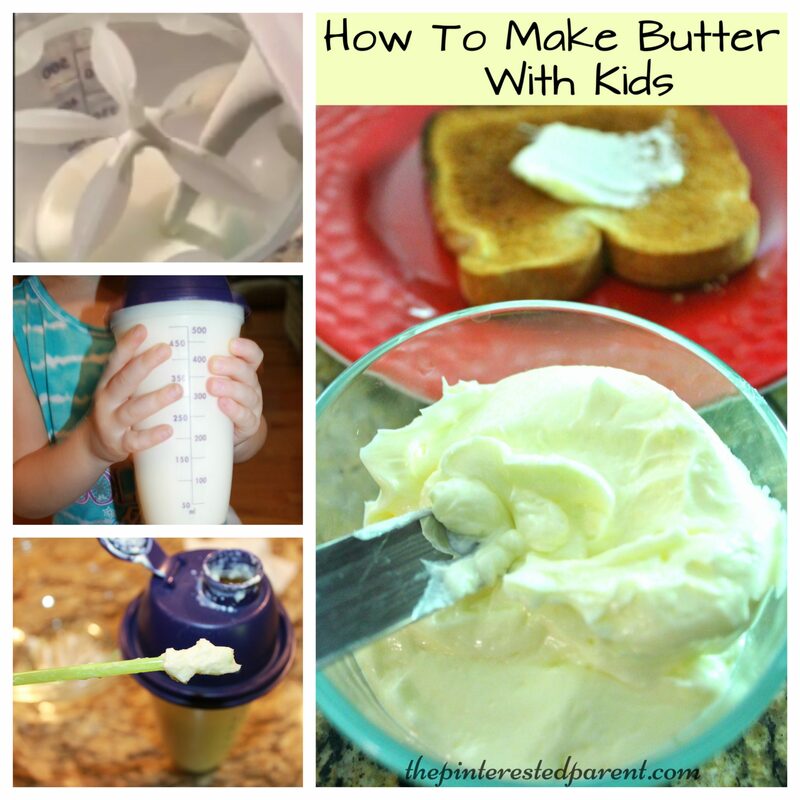 Thank to Google & PBS Kids, I was able to find a simple way to make butter with my little. 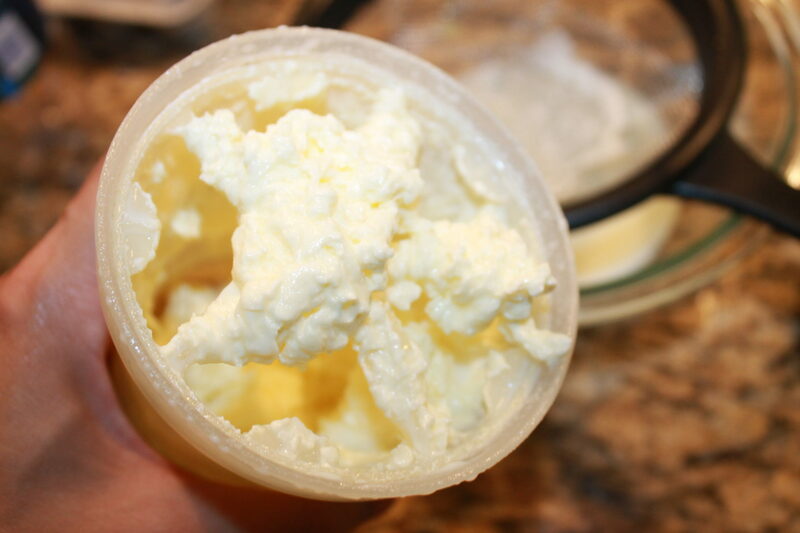 Did you know that you can easily make homemade butter by shaking cream in a jar? Well you can & it is delicious. The recipe called for a jar, but we chose to use a shaker cup to make our butter. 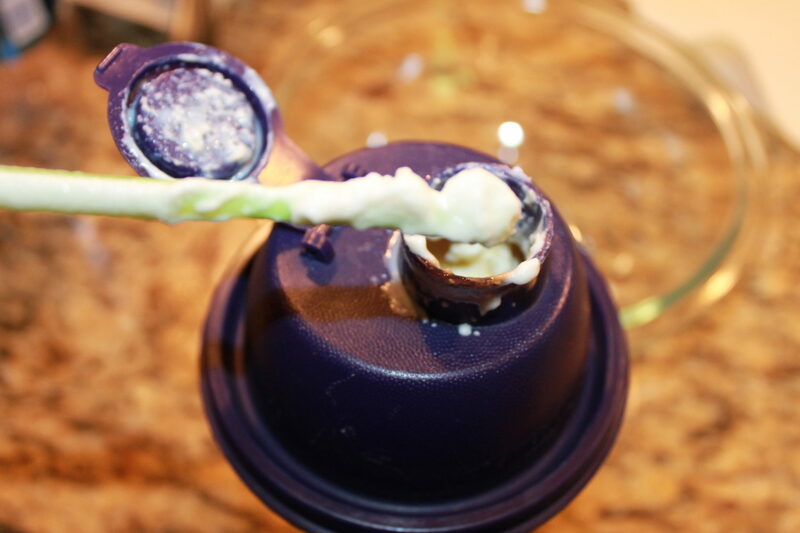 We added a carton of heavy cream to our shaker & shook in a little salt. We put the lid back on & began to shake. 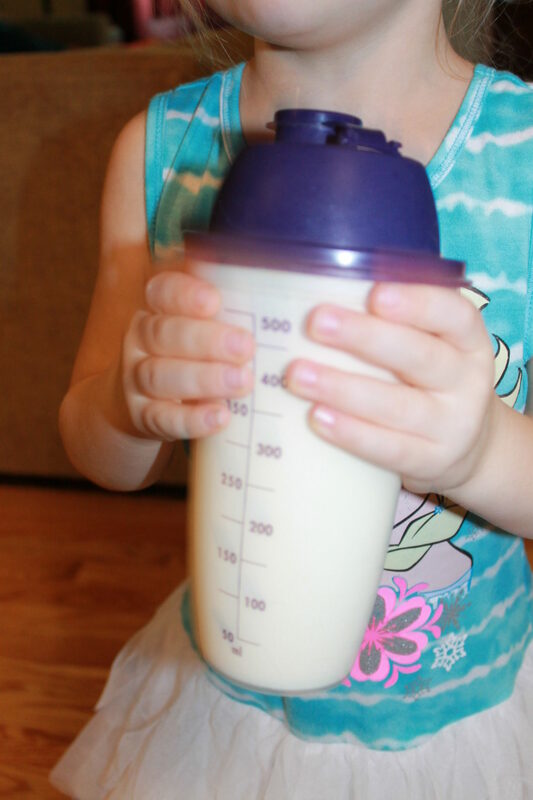 My daughter helped shake for a few minutes, but quickly got tired & handed it back to mommy. It is a lot of shaking, so if you are doing this with a few children, it would actually be perfect because each could take a turn for a few minutes. The recipe that we saw said that it would take about 10 minutes, but ours did take a little longer than that, although we did stop many times throughout the process to make observations about the butter. It was a great arm workout for this mommy. The shaking was fun, but what happened during the shaking was the most interesting part. The cream hit different forms during the shaking. We stopped & looked at our cream often to see what changes were made. It was fascinating. The first stage was foamy. 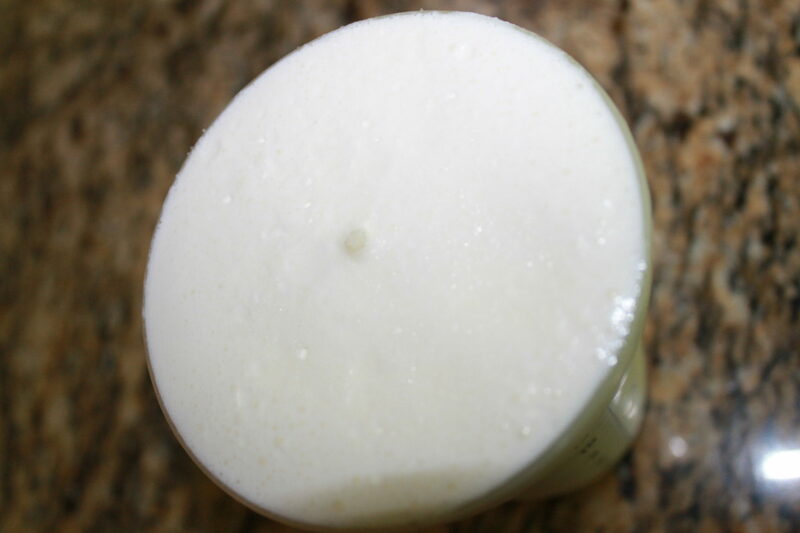 The cream start foaming & expanding in the shaker cup. We shook a little longer & the butter started taking on the form of whipped cream. When it took on the whipped cream form, it became a little more difficult to shake, but after shaking a little bit longer, it began to sound watery again. We checked the mixture & could see the buttermilk & butter starting to separate. We kept shaking and then poured the buttermilk through a strainer into a bowl. We drained the butter well. The strainer will catch the butter, but we were able to scoop most of it out of our shaker with a spoon. I covered the butter & then refrigerated it until I was ready to use it. 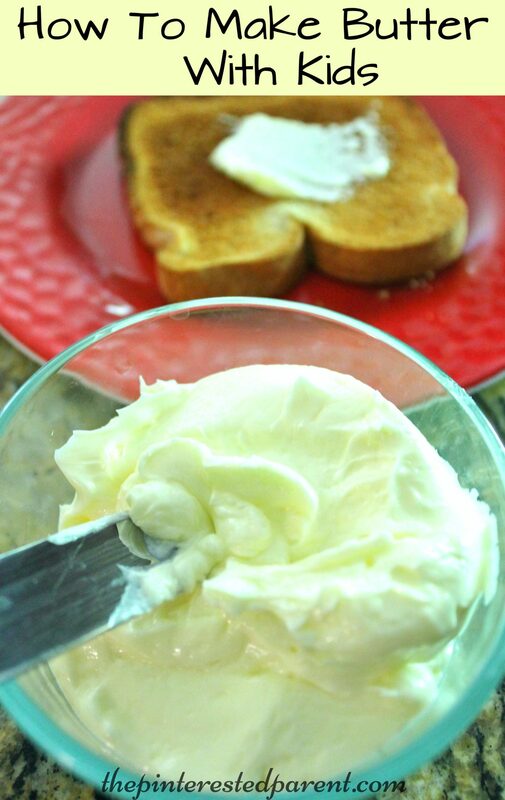 We made some toast & tried out our homemade butter. It was delicious. We also used the buttermilk to make fried chicken with later that same evening. 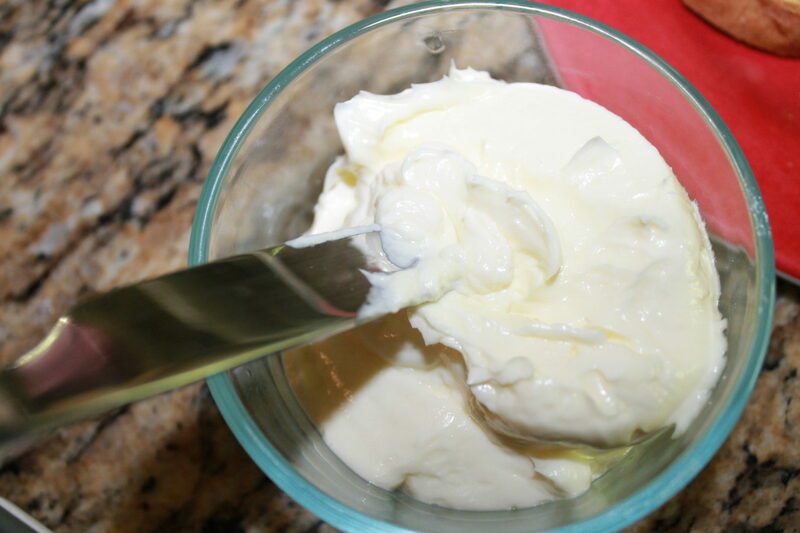 From what I understand, homemade butter does not last too long, so extend the life of your butter by mixing some water into it after the butter is already formed. The homemade butter is definitely worth making. It was wonderful. I will definitely make it again, but perhaps next time use a beater.